Google is always treating their Nexus branded devices with seriousness than all other devices. That’s why they are always releasing the latest firmware to Nexus devices and if anything goes wrong they are always ready to release a bug fix for it. 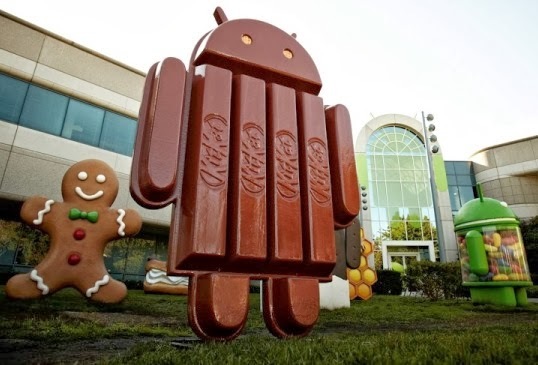 Only last month they released Android 4.4 KitKat to Nexus devices. 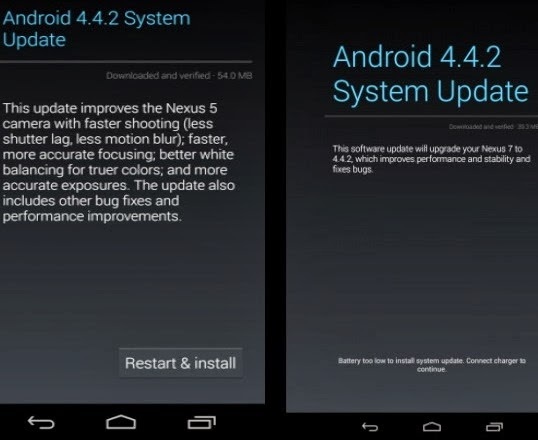 While no other smart devices taste it so far Google is kind enough to release two bug fixes for it, Android 4.4.1 and 4.4.2 today. Some of the Nexus users earlier reported that Android 4.4.1 update doesn’t fix their camera bug so Google is replying fast with KOT49H update which bumps the device firmware version to Android 4.4.2 KitKat. This upgrade doesn’t change much over 4.4.1, but it does bring a few bug fixes that should go toward a better overall user experience. The upgrades are rolling out over the air. Don’t forget to charge your battery and turn on WiFi, though we hear this is a very light upgrade by today’s standards. You’ll be able to get this upgrade on all the latest Nexus devices, including the Nexus 4, Nexus 5, Nexus 10, and Nexus 7 tablets (both 2012 and 2013 models).